Size (Chest to fit ins): XS: 26, S: 28, M: 30, L: 32-34, XL: 34-36. Weight: 207g/m² (200g/m² in White). 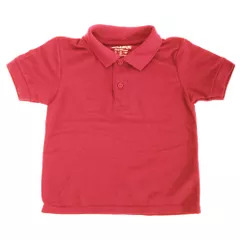 65% Polyester, 35% ring-spun cotton preshrunk double pique© knit.